Chinese smartphone maker OnePlus is all set to launch its flagship device, the OnePlus 6 at an event in London on Wednesday and the Indian launch of the device is scheduled for tomorrow. Ahead of the launch, the company has announced several launch offers on the device, including a discount, cashback and more. Earlier, OnePlus had announced the Fast AF sale under which, users who pre-book the OnePlus 6 will get a cashback of Rs 1,000 in the form of Amazon Pay balance and an extended warranty of three months on the device. The Fast AF sale will end on 16 May. The OnePlus 6 will go on sale on 21 May at 12PM for Amazon Prime subscribers as part of the Early Access sale and non-Prime users will be able to purchase the device starting from 22 May. The OnePlus 6 launch offers include a discount of Rs 2,000 on State Bank of India Debit and Credit cards. The OnePlus 6 6GB RAM + 64GB storage variant is available in Mirror Black color option and it has been priced at Rs. 34,999 and the 8GB RAM + 128GB internal storage variant is available in Mirror Black, Midnight Black and Limited-edition Silk White color options with a price tag of Rs. 39,999. The Marvel Avengers Limited Edition with 8GB RAM and 256GB internal storage has been priced at 44,999. 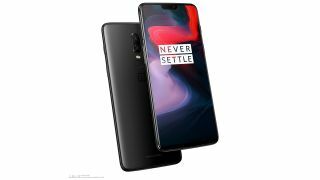 Apart from Amazon India and OnePlus.in, OnePlus will also be selling the device from the eight pop-up stores it will be hosting on 21 and 22 May across the country. Apart from the online offers, there are some goodies and offers for users who visit the OnePlus 6 pop-up events as well. As mentioned above, OnePlus will be hosting pop-up events across eight Indian cities. Exclusive swag for all users who purchase the OnePlus 6. Opportunity to meet and hangout with local celebrities. Selected members from the queue waiting for OnePlus 6 purchase will be given goodies. One lucky winner at each location will get a OnePlus 6 for free.